Rent Lan Su Chinese Garden | Corporate Events | Wedding Locations, Event Spaces and Party Venues. Lan Su Chinese Garden is one of Portland's greatest treasures and most interesting sites to see while visiting Portland. A result of a collaboration between the cities of Portland and Suzhou, our sister city in China's Jiangsu province that's famous for its beautiful Ming Dynasty gardens. 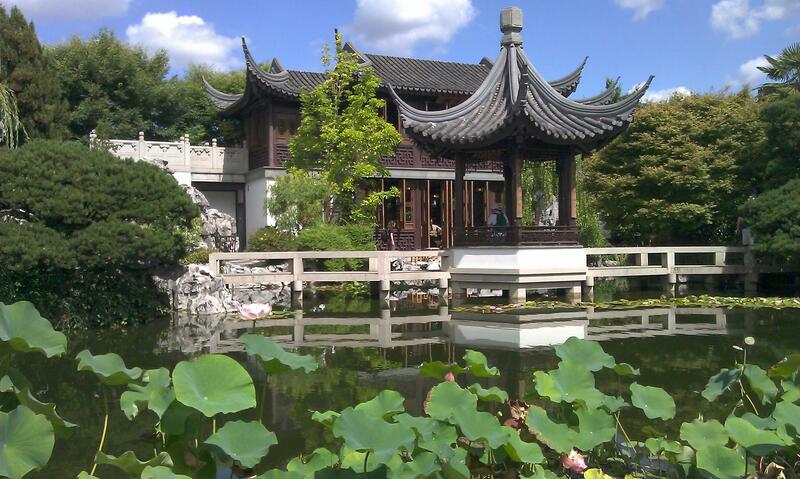 One of Portland’s greatest treasures, Lan Su is much more than a beautiful Garden. It is a creative wonder – a powerfully inspiring experience based on a 2,000-year-old Chinese tradition that melds art, architecture, design and nature in perfect harmony. Whether an intimate rehearsal dinner, an elegant ceremony, or a ceremony followed by a catered reception, the Garden stands alone in being a breathtakingly one-of-a-kind wedding site. Lan Su Chinese Garden stands alone as a breathtaking, one-of-a-kind wedding site. A bridged lake, waterfall, winding pathways, exquisite pavilions and lush gardens provide a stunning stage for sharing your romantic moment-in-time with friends and family. Whether you choose a ceremony followed by a catered wedding reception or an intimate wedding rehearsal dinner, Lan Su offers the ultimate, unique experience. As the most authentic Chinese garden outside of China, Lan Su has become THE place to for those in search of a location of lasting impressions. The exquisite garden requires no additional décor, minimizing cost and creating the “green” wedding valued by Portlanders. Guests wander pathways with a glass of wine, later moving to a buffet dinner staged in a courtyard. VT Group manages event rentals at Lan Su Chinese Garden. Their knowledgeable staff will assist you with all of your event needs, including booking, site tours, catering and equipment. VT Group catering partners are the exclusive providers of food and beverage at Lan Su. For weddings, your catering options include Food in Bloom Catering or Vibrant Table Catering & Events. Lan Su and our exclusive catering companies, Food in Bloom and Vibrant Table Catering will coordinate all of your equipment rental needs through our preferred rental company, The Party Place.